Spectacular views, a superbly designed, challenging course and some of the best greens in the area – what more could you wish for on a golfing day out? 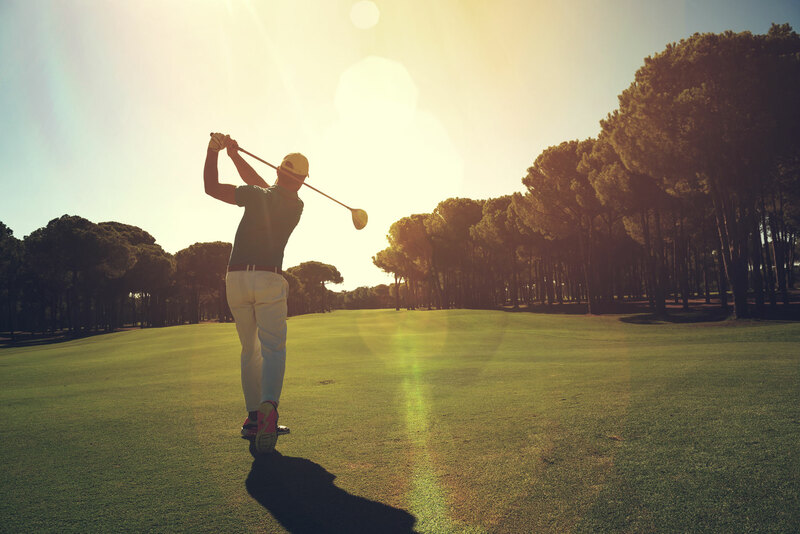 Take a deep breath of country air and enjoy golfing at its finest at Lenape Heights Golf Resort. Our 18-hole golf course is a great choice for league and tournament play on your own or with friends and family, as well as corporate and private group outings. The front nine feature some signature holes and gorgeous views of the beautiful hills of Pennsylvania. Tee it up and enjoy! Number one offers a straight par 4 with trouble along the left side and trouble to the right near the green. Keeping your approach shot under the hole will help avoid three putting. This is a good par hole. The second hole is another shorter par 4 that looks reachable for some longer hitters. The fairway doglegs to the right with the green nestled in the trees. This narrow green slopes from front to back, but a good tee shot should set up a birdie opportunity. One of the signature holes of the course, this par three is one of the more daunting at Lenape Heights. As you look down at the green, you notice the large pond that separates the green and the drop area. Tee shots coming up short will find the water hazard and shots from behind the green will be faced with a severe downhill lie creating a difficult up and down to save your par. This would be another hole to be glad to score par on. The only par 5 on the front nine, four is sure to be a favorite. With woods to the left and smaller trees to the right, this hole still gives plenty of forgiveness off the tee. Only the long hitters have a chance at hitting the green in two here due to the small water hazard directly in front of the approach to the green. Usually, a lay-up shot in front of the water lends itself well to a nice approach into the green. Five is a slight dogleg to the right with an open fairway. A straight tee shot will take the numerous bunkers lining the right side of the fairway out of play. The fifth green is probably the hardest on the course. The entire green slopes back to front and a pin placement on the front edge will make for a difficult two-putt par. This is one of the par 3 on the course. This uphill tee shot to a small green sloping from back to front will demand an accurate tee shot. Any shot staying on the putting surface is a good shot and making a par here is a good score. Seven is a dogleg left with two blind shots into the green. The tee off is to a blind fairway and the approach into the green is also blind, except for those longer hitters. The green itself is nestled between one of our many ponds and a patch of woods that seems to eat everything up. An accurate tee shot should present a good birdie opportunity. This drivable par 4 calls for a demanding tee shot. There are woods on both sides of the fairway and you might want to consider leaving your driver in the bag. A straight tee shot will be faced with a blind downhill second shot to a wide, but narrow green. This green has a lot of subtle breaks and will have you questioning your ability to read a green. This par 4 requires a long drive to have a wedge shot for a blind uphill approach. Judging the distance of the second shot can be a challenge and this green slopes severely to the front near the front edge. After finishing the front and stopping in the clubhouse for a bite to eat and some refreshments, you are greeted by the beginning of a challenging nine holes of golf. The back nine feature water hazards and sand traps, as well as stunning views of the beautiful hills around Lenape Heights Golf Resort. From the tenth tee, you have a breathtaking view of the beautiful rolling hills of Western Pennsylvania, as well as a good view of most of the holes on the back nine. This short par 4 offers an uphill approach to a green sloped from back to front. Avoid the fairway bunker on the right side, and this becomes a good birdie hole. The eleventh hole is the second par 5 on the course and it is a great birdie hole. From the tee the fairway drops significantly with trouble far left and pine trees lining the right hand side. A good drive down the center of the fairway leaves long hitters an opportunity to go for the green on their second shot. Shorter hitters can lay up and cannot take the green-side traps out of play. Most players will walk away with a par or better. This 150-yard par 3 offers a unique shot uphill toward a large green. After you successfully clear the water hazard in front of the tee, you will be contending with two large sand bunkers that surround an undulating green. Par is a great score here. Arguably one of the hardest holes on the golf course, this long par 5 demands an accurate tee shot. Tee shots to the right will find a lake starting at 220 yards from the tee and drives missed to the left will find a lateral hazard. There is a one stroke on-course out of bounds to the right and the hole has out of bounds all along the left side. Laying up on the tee shot is the smart play and will increase your scoring chances. A par is a great score here. One of the longer par 4s on the course, fourteen plays straight away from an elevated tee positioned in a cutout of the woods. The fairway rolls left to right and wayward tee shots to the right will find the water hazard. The approach is slightly uphill to a large green protected by sand traps. Do not let the large tree to the left of the tee box snag your drive on this hole. If it is not this tree, there is a line of trees on the right side of the fairway. Your uphill approach shot will be to a well-protected green by sand bunkers. A good birdie opportunity. The second and final par 3 on the back nine is the longest of the four par 3s. This 200-yard tee shot will call for a long iron or fairway metal to a green sloping from front to back. The green is protected on every side by large sand bunkers and a shot hitting the front apron usually sets you up in a good position. Listed as the number one handicap hole on the golf course, the seventeen is a severe dogleg right going uphill all the way. A drive to the corner of the dogleg leaves you an approach inside of 150 yards. Hitting this turtleback green is a challenge and the green side traps often come into play. Par is always a good score here. You’ve reached the homestretch! This short par 4 lends itself to many birdie opportunities, as you will be hitting a short approach to a large green. After making a good two putt par, our Sports Bar or the sunny terrace of Victor”s Restaurant will be awaiting. Call 724-763-2201 with questions or for membership information. In our Pro Shop, golfers find the perfect outfit for their outing at Lenape Heights Golf Course. 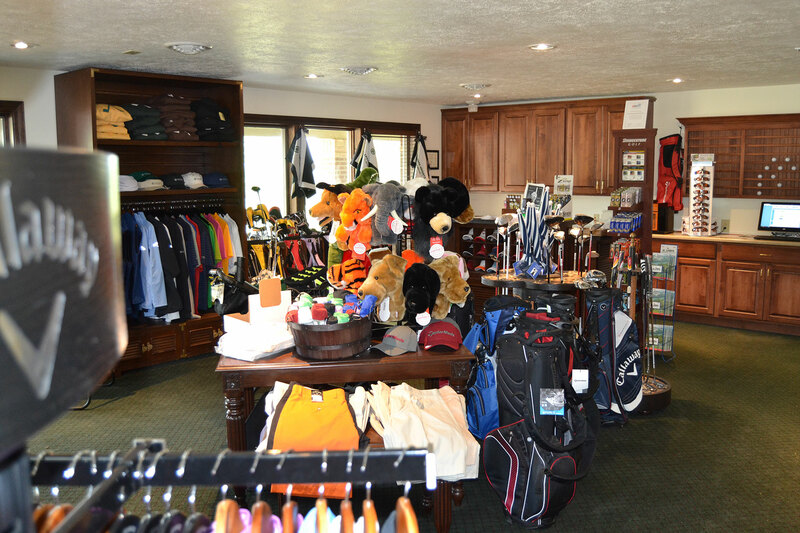 The shop carries a large selection of apparel, clubs, shoes and much more. Stop by and check it out! If you have questions or would like to receive further information, please call 724-763-2201.